Whether it’s going on a vacation, visiting friends and family for the holidays or just packing the car for a road trip with friends, traveling should be fun. But for those with hearing aids and hearing loss, traveling can be hard. Pack Extra: Batteries can suddenly go dead and can leave you stranded. Make sure to pack extra battery packages so that you never run out or in case some batteries are defective. A good rule of thumb is to pack for an extra week’s time. Also, be sure to look at the helpful tips for longer battery life and proper battery care here. Get A Check-Up: If you’re going on a long vacation or are traveling where you may not be able to get helo from a hearing professional, consider taking your hearing aids in before you leave for a quick tuneup, programming checks and a good ole professional cleaning. Wipe, Dry, Repeat: Remember to clean your hearing aids every day while traveling. Sweat, moisture and wax buildup can keep your hearing aids from performing like they should. Write It Down: Hearing aids come with lots of extra goodies: batteries, drying containers, protective cases, extra wax guards, cleaning tools and even remote accessories. When preparing for your trip, take the time to write down all the things you will need to bring for the best hearing experience possible. Then, as you’re packing, keep your list handy to check each item off so that nothing gets left behind. Think Ahead: When planning your trip, consider who you will interact with and how to best approach the places you visit. For example, if you are flying, you should consider opting to receive flight alerts and changes via text message or email. Identify what accommodations you need while en route, at your destination and on the way home, and don’t hesitate to ask for help if you need it. The better you can be prepared, the less worry your hearing loss will be. Refresh yourself with instructional hearing aid videos! 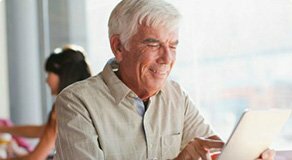 Have a question about a hearing aid problem or need to learn more about proper maintenance and care? Visit the Hearing Aid Maintenance page for troubleshooting problems and visit the Hearing Aid Use & Care page for tips on cleaning, using and maintaining your hearing aids.